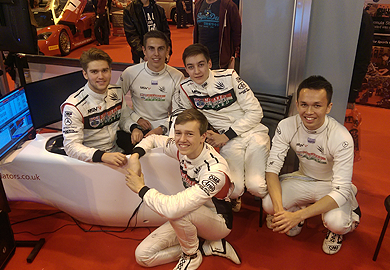 Simulation Services - Pro Racing Simulators Ltd.
We draw on a huge amount of experience in prototyping and fabrication to offer an outstanding bespoke service. We can handle all sizes of contract, from a professional driver enhancement simulator with projection array and control room, to a mobile race centre exhibition trailer kitted out with the latest cutting edge simulators. At PRS, the first and only point of reference is you the client. We pride ourselves on attention to detail and finish. Our in-house graphic designer will create the perfect livery and branding design for your company. We understand that our clients require the complete experience. This is where our team of software developers comes in. 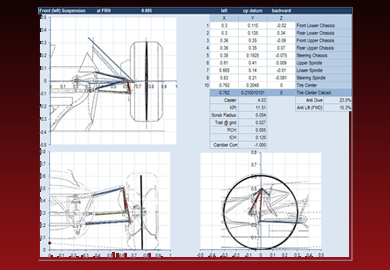 We provide data-driven modeling of any type of racing car within an accurate simulation environment. Real life vehicle geometry, telemetry data and windtunnel aero maps are all processed, delivering astonishing correlation between simulated and real life indicators. 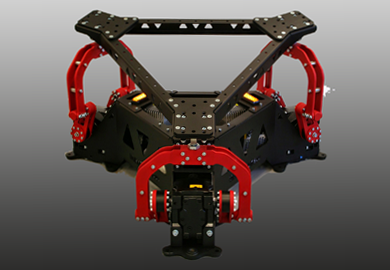 We can also build GPS Accurated or Laser Scanned Track Models for use in the simulation. These models can incorporate any in-game branding that a client may require. At PRS we provide you with a tailored, professional race experience that will entertain your clients and guests for hours. 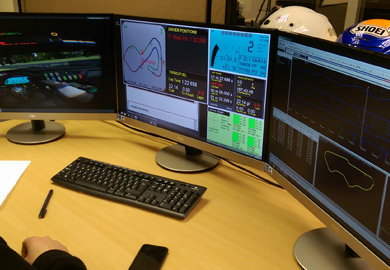 Our rigs are manned by a trained race controller at all times. The simulators can be used in a variety of locations due to their portability and we can provide a trailer or marquee for outdoor use. The simulator's bodywork and crowd control barriers can be branded to your corporate identity for exhibitions, trade shows and product launches. We guarantee this eye catching simulator WILL increase footfall on your stand! At PRS we provide you with a tailored, professional driver development program using one of our cutting-edge training simulators. We have put great effort into having accurate and representative track models with many being laser scanned. We create custom profiles to emulate your real-life car. You will be amazed at how immersive and realistic the simulator can be. You can opt to hire or purchase a simulator depending on your budget and requirements. Our service is just a fraction of the cost of a day or year's testing program on circuit and We have better tools to analyse and improve your performance. We will analyse your braking points, lines, minimum corner speed, traction zones, setup variations and much, much more.